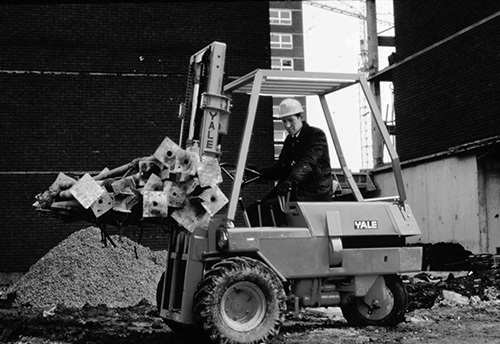 The Company's history has been marked by innovation in the Hyster ® and Yale ® brands that have helped power the industry forward. 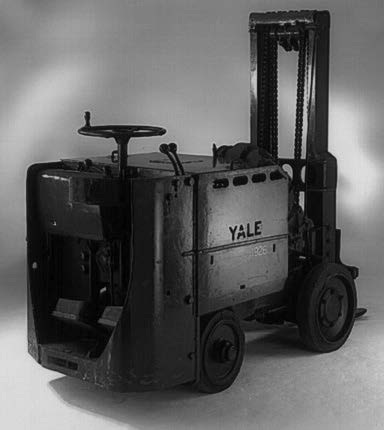 Yale was responsible for introducing the industry’s first battery-powered, low-lift platform truck, the first fluid coupling transmission, and the first hypoid drive axle. 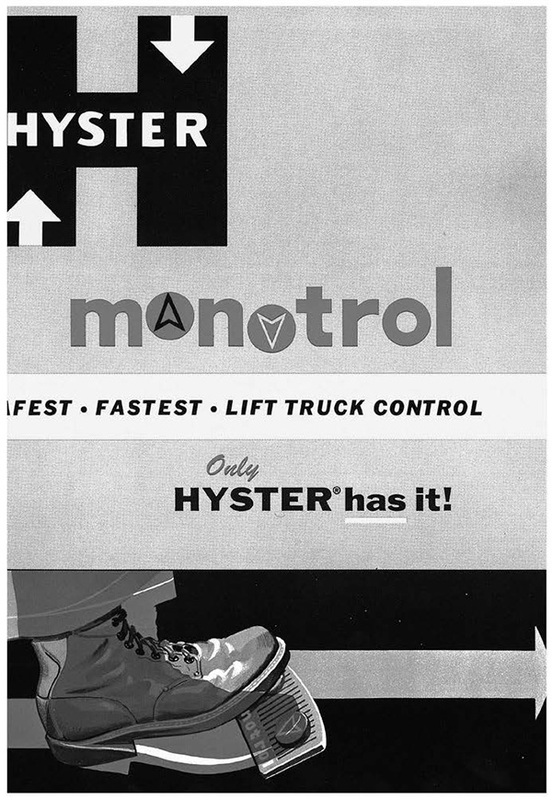 Hyster Company’s MONOTROL ® pedal for speed and direction control was revolutionary when patented and introduced to the industry in 1959 and is still in production today. Today at Hyster-Yale that spirit of innovation is alive and well as we work to bring new and better technologies to market. This includes the use of hydrogen fuel cell technology and a new generation of electric counterbalance trucks. Scroll through the date ranges to see our history. 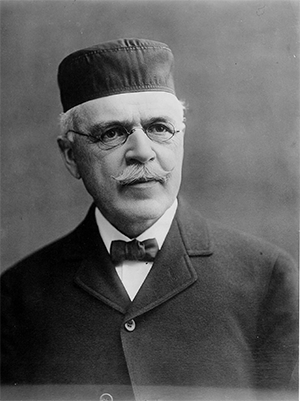 Linus Yale Sr. begins designing and manufacturing a series of innovative, high-security locks at his Yale Lock Shop in Newport, NY. He specialized in expensive, handmade bank locks. 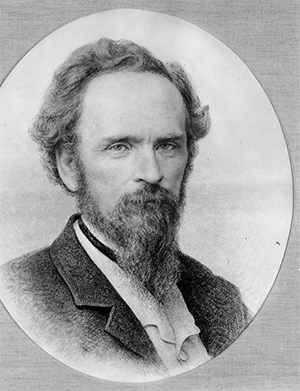 Shortly before he dies in December 1868, Linus Yale Sr. brings on Henry Towne and changes the company's name to Yale and Towne Manufacturing. The business moves to Stamford, CT. 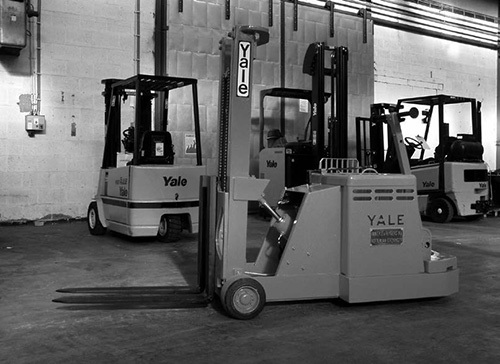 Still under the guidance of Henry Towne, Yale and Towne Manufacturing expands the company to add materials handling equipment and becomes the largest employer in the Stamford area. Yale brand history officially begins when Yale & Towne purchases the C.W. 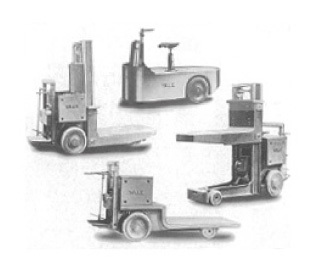 Hunt Co. of Staten Island, NY, which had developed the industry's first battery-powered low-lift platform truck in 1919. 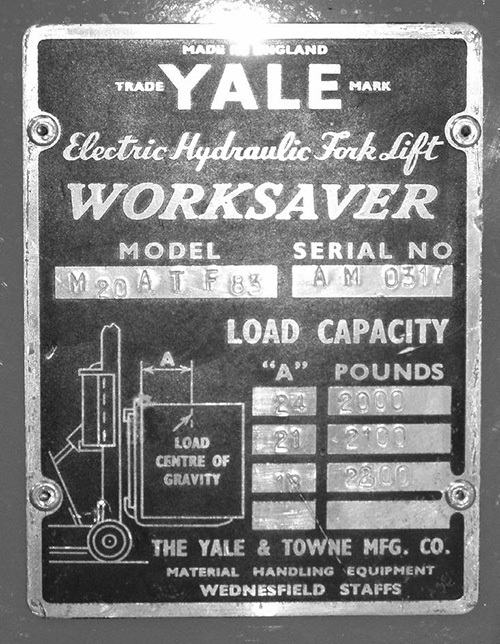 This same year, Yale & Towne launches a new battery-powered low-lift platform truck and a range of high-lift platform trucks, tow tractors and one of the first lifting trucks with tilting forks. The Willamette-Ersted Company is founded in Portland, OR, as a manufacturer of winches and lifting machines for the timber industry. Legend has it that loggers using the equipment would cry out “hoist er" as they prepared to lift a load. 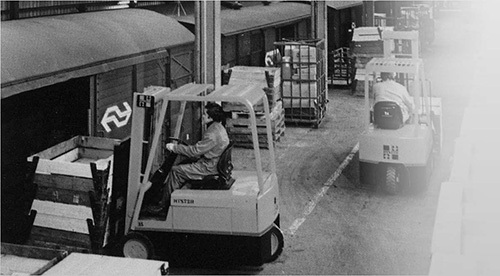 The expression, spelled out as Hyster, sticks, marking the beginning of the storied Hyster lift truck history. 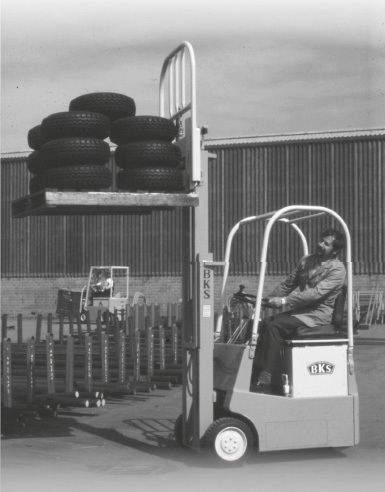 The company, now renamed Willamette Hyster Company, introduces one of its first forklift trucks, a straddle carrier equipped with forks. Now known as Yale & Towne, the company opens its first overseas manufacturing facilities in Wednesfield, England. 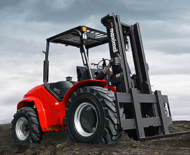 They also begin selling lift trucks in Japan through a partnership with the Kiichi Harada Company. 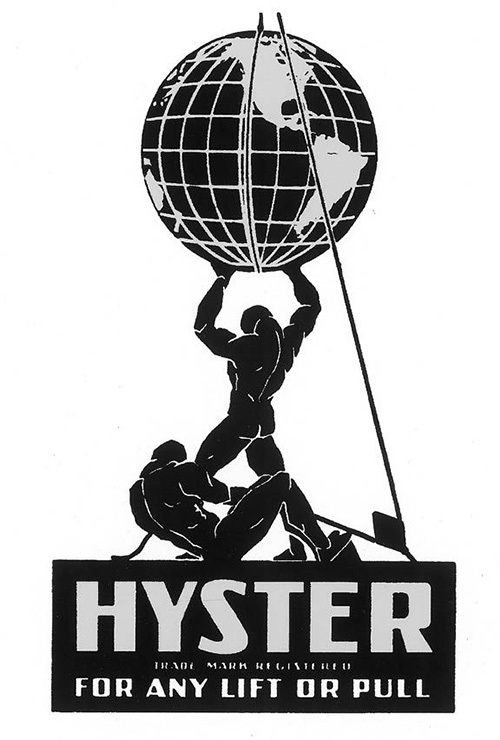 The Willamette Hyster Company formally adopts the name Hyster Company and continues to build on its reputation for durable and often massive lifting machines. 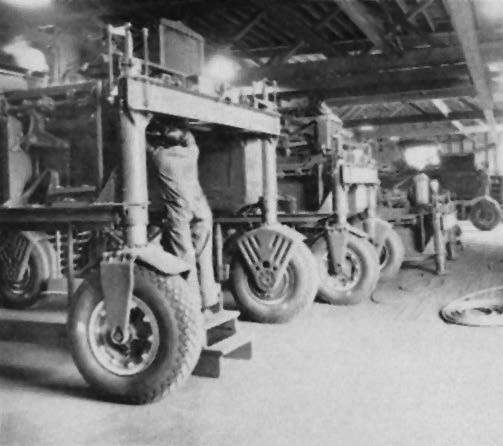 During World War II the company‘s products are distributed overseas. The international presence helps establish a global network of manufacturing plants and dealer organizations. 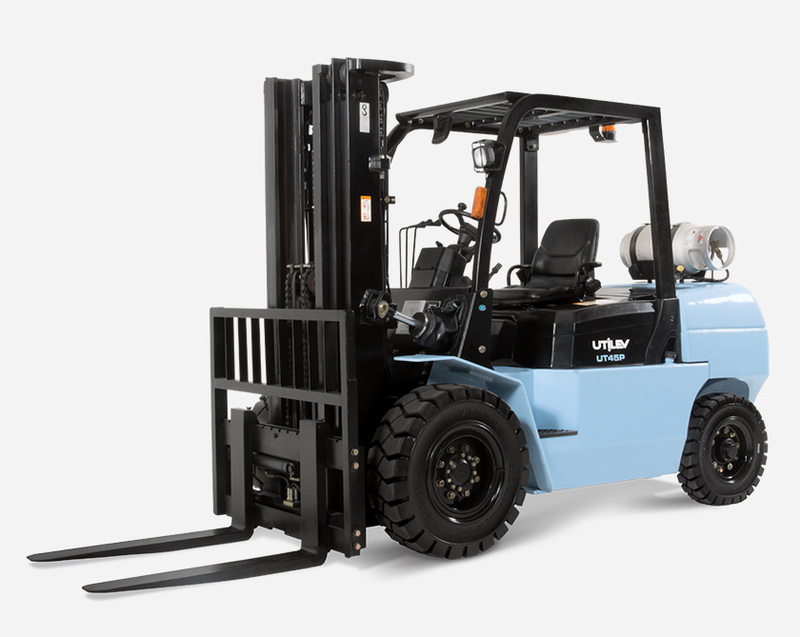 Yale & Towne adds gas, LP gas and diesel-powered lift trucks to its product line and introduces the first fluid coupling transmissions and hypoid drive axles to the lift truck field. Hyster® brand introduces the famous Monotrol® pedal, a unique development providing speed and direction control in one simple pedal. Yale & Towne opens its Greenville, NC plant to produce electric trucks. 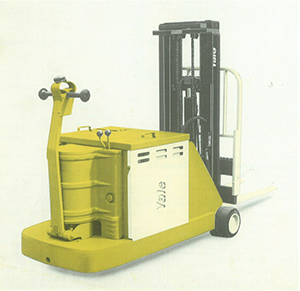 Yale Materials Handling Corporation is established. 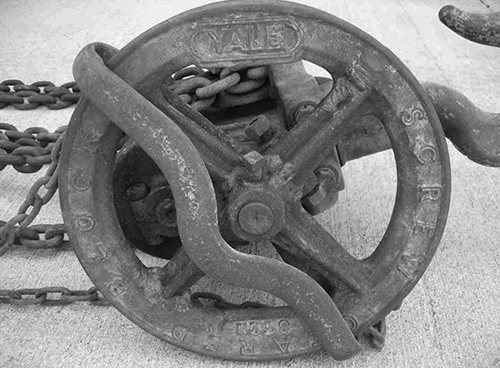 North American Coal buys a controlling interest in Yale. NACCO Industries, Inc. is created as a holding company. The Hyster® brand-still owned by the same family group that started the company - is acquired by NACCO Industries With both the Yale® brand and Hyster® brand of lift trucks in its portfolio, NACCO Industries creates NACCO Materials Handling Group (NMHG) to integrate and manage the two companies as one. Following the acquisition of manufacturing plants in Modena and Masate (Italy), NMHG rolls out a comprehensive line of lift trucks for warehouse applications in Europe, the Middle East and Africa. Following a substantial program of investment, Nijmegen, Netherlands, becomes the global center for Big Truck design, development and manufacturing. All NMHG facilities are awarded ISO 9001:2000 quality accreditation. Both the Hyster® and Yale® brands begin to roll out a complete new generation of ICE (internal combustion engine) trucks, with a modular design platform and innovative features, providing unprecedented reliability and value to users. 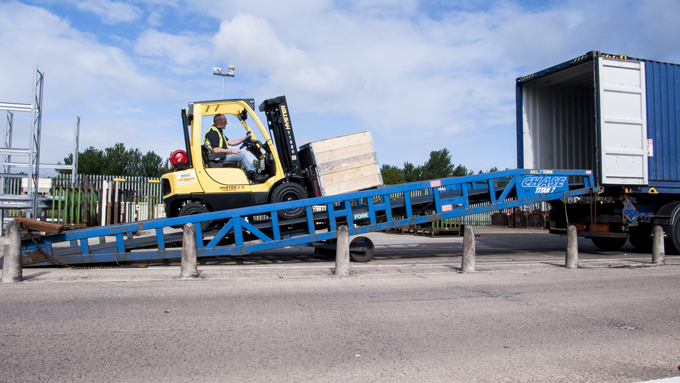 As warehousing and distribution hubs grow worldwide, the Hyster® and Yale® brands introduce the sophisticated VNA (very narrow aisle) truck, featuring a unique quad mast design. Investment programs continue, focused on product-line development, quality and efficiency in supply chain and optimization of NMHG's worldwide manufacturing capacity. Both the Hyster® and Yale® brands introduce a new generation of Electric Counterbalance trucks, which continues the Company's strategy of modular design and innovation, while offering customers both outstanding performance and significant savings in operational costs. NMHG introduces the UTILEV® brand of utility trucks into selected markets. 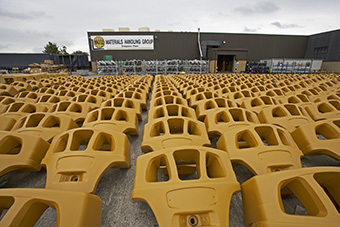 In December 2014, NMHG, Hyster-Yale's operating company, acquires Nuvera Fuel Cells. LLC, an alternative-power technology company focused on fuel cell stacks and engines, on-site hydrogen production and dispensing systems. In January 2016, NMHG changes its name to Hyster-Yale Group to reinforce its position as the operating company under Hyster-Yale Materials Handling. Inc. In April 2016, Hyster-Yale Group acquires the telematics installation and distribution business of Speedshield Technology for the U.S. and U.K. These businesses are rebranded as HYG Telematics Solutions. In July 2016, Hyster-Yale Group completes the acquisition of Bolzoni S.P.A., a leading worldwide provider of attachments, forks and lift tables under the Bolzoni Auramo® and Meyer® brand names. 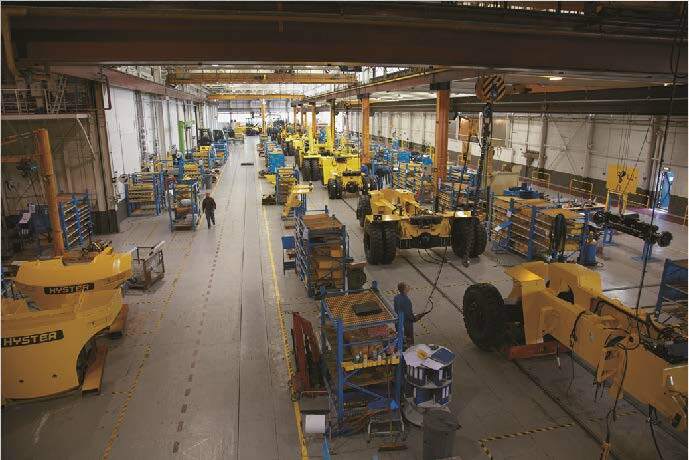 The Willamette Hyster Company formally adopts the name Hyster Company and continues to build on its reputation for durable and often massive lifting machines. During World War II. the company‘s products are distributed overseas. 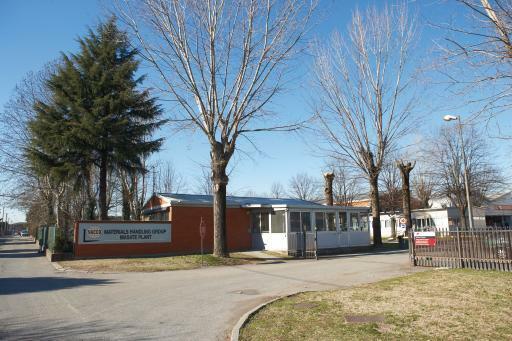 The international presence helps establish a global network of manufacturing plants and dealer organizations. Hyster brand introduces the famous Monotrol® pedal, a unique development providing speed and direction control in one simple pedal. 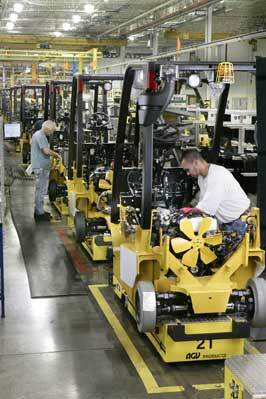 The Hyster® brand-still owned by the same family group that started the company - is acquired by NACCO Industries. 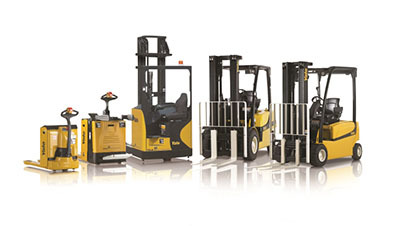 With both the Yale® brand and Hyster® brand of lift trucks in its portfolio, NACCO Industries creates NACCO Materials Handling Group (NMHG) to integrate and manage the two companies as one. 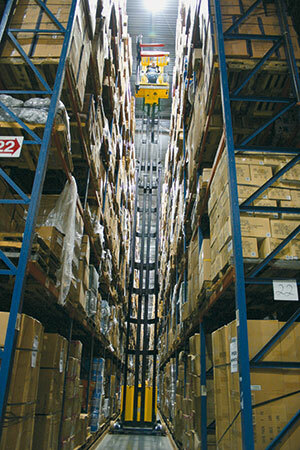 As warehousing and distribution hubs grow worldwide, the Hyster and Yale brands introduce the sophisticated VNA (very narrow aisle) truck, featuring a unique quad mast design. 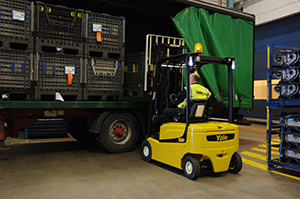 In December 2014, Hyster-Yale acquires Nuvera Fuel Cells. LLC, an alternative-power technology company focused on fuel-cell stacks and related systems, on-site hydrogen production and dispensing systems.